Sure you can look at a map to figure out the way to your destination. You can see cross streets and town names; but often it’s easier to have somebody who has been there give directions. They’re familiar with landmarks, traffic lights and other little nuances that can deter you from your destination. Building green can be the same way. The National Green Building Standard provides an enormous list of rules and regulations to get your home certified. A lengthy list of options provides different point values to reach the bronze, silver or gold certification level which can leave a builder or renovator with a lot of questions. 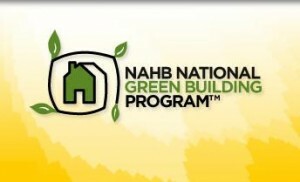 Not to worry though, the NAHB now has “The National Green Building Standard Commentary” available from BuilderBooks.com. Intended as a companion publication to “The National Green Building Standard,” this book walks builders through their options so they can make the best decisions. Green building is so important to our future that it’s important to get it right. This new book should clear up any questions or misunderstandings about The National Green Building Standard. This entry was posted in Green Certifications and tagged BuilderBooks.com, green building, NAHB, National Green Building Standard on February 10, 2010 by Carol Morgan.